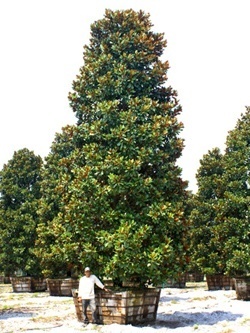 Buying Magnolia trees online is fast and easy at The Tree Center. Check Out Our Current Specials! White, pink, red, purple, and yellow Magnolia Tree flowers are a thing of beauty in the ornamental garden. Singularly unique, the Magnolia Tree has delighted gardeners for thousands of years. 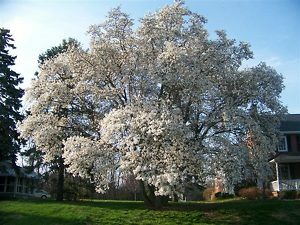 If you are searching for an individual tree that will add a gorgeous accent to either your yard or garden, look no further than the Magnolia Tree. Symbolizing the southern United States, where the tree represents both Mississippi and Louisiana as state tree symbols, and adapting to temperate, cool climates, the Magnolia Tree will blossom with its large, stunning petals in the early summer, alerting you to the coming warmth in late May and early June. 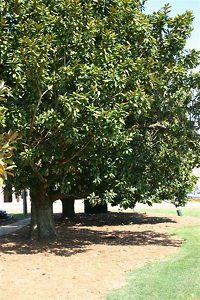 The Magnolia Tree that has come to represent so much of the southeastern United States is one of over 80 varieties. From small shrubs to medium-sized accent trees, in subspecies that are both deciduous and evergreen, the Magnolia Tree is sure to provide a variety to suit your gardening needs! One of the most popular is the Jane Magnolia Tree. Magnolias can be a bit picky when it comes to soil and sunlight, and once rooted they are difficult to move. With so many considerations to take into account before deciding on a new tree to plant, read about the Magnolia Tree below to determine if it is the right fit for you. Sunlight – Sun needs depend on location. In cooler climates, plant the tree in full sun or light, partial shade. In southern, hot climates, plant the tree in full sun with afternoon shade. Soil – Prefers well-drained, acidic, moist soil that is not overly wet. Shallow roots also mean mulch is needed around the base of the tree to improve drainage and water absorption. Water – Water 2 to 3 times a week for the first three to six months, applying 2 to 3 gallons of water for every inch of trunk diameter. Pruning – Prune just after the last blooms have died in late summer. Avoid pruning mature deciduous varieties, as large cuts may lead to disease. Magnolia Trees do not play well with others. Even walking or cultivating too closely to them is to be avoided, as stepping on the surrounding soil can compact the roots. Undergrowth should not be planted or encouraged, but mulch around the base of the tree can be helpful. Most gardening experts suggest the Magnolia Tree be planted as a stand-alone tree, with minimal background distractions. This will both improve the health of the tree and allow you to observe the large, glossy leaves, light gray-brown branches, and stunning blooms. Magnolia Trees need full sun, although some shade from harsh, afternoon rays can be beneficial. Since Magnolia Trees grow best with minimal invasion of other plants, it is best to also plant these at least 6 feet from fences or buildings, although 10 feet or more is preferable. 1. For every 1-inch of trunk diameter, use 2 to 3 gallons of water. 2. For every 1-inch of trunk diameter, water a 1-foot radius from the base of the tree. So, if your Magnolia Tree has a four inch diameter, you will want to use 10 gallons of water three times a week covering an area four feet from the base of the tree in all directions. After the first three to six months, simply water the tree once per week using the same formula. Observe the leaves for droopiness, as this can be a sign of overwatering. Magnolia Trees cover a range of over 80 subspecies. 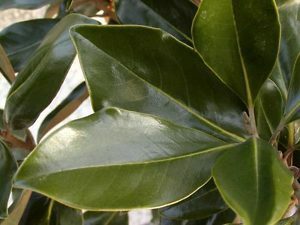 As such, the growth rate and height of a Magnolia Tree will vary based on the variety. Below are the most common ornamental varieties and the corresponding growth rates and height. Transplanters beware! The Magnolia Tree is unlike many other flowering trees in that the roots do not branch often. Instead, the root remains relatively uniform and grows laterally across the ground. This makes transplanting any Magnolia Tree larger than 4 inches in diameter extraordinarily difficult. If you must transplant your tree, be sure to dig as wide a hole as possible (depth is less important) and move the rootball quickly. Mulch and water the new location frequently. 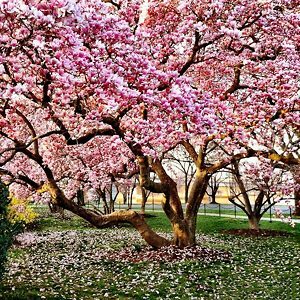 Since there are over 80 different varieties of Magnolia Trees, it is easy to find one that will work in your area. Additionally, Magnolia Trees have been cultivated for a variety of characteristics, so you can find different colored blooms, different heights, and different climate preferences. For a complete listing of Magnolia Tree varieties and subspecies, visit the Magnolia Society online. 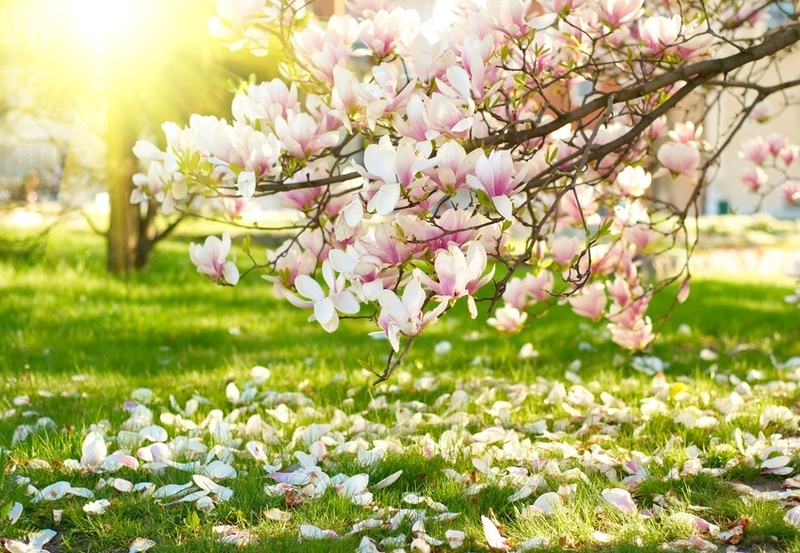 Magnolia Trees do not like overly salty soil, so be sure to test your soil before planting! Fertilizer is not beneficial to Magnolias. Limit or use sparingly. Magnolia Trees are old; some fossilized specimens are thought to be over 95 million years old! Magnolia Trees are a great choice for beginning gardeners because they are not usually affected by pests or diseases. What is the variety of the white flowering magnolia shown in the picture immediately above? can I buy a very young Magnolia tree for the Canadian north Calgary Alberta. I saw on your page a Max15 foot tree. I am sorry this is not a comment. i have a question regarding watering of an old Magnolia tree that once was in a drought for six years in san jose, affecting its roots coming upward toward the lawn/watering. What should I do for these two trees as of now? I planted a young magnolia tree 2 years ago and it flourished until now. this year I had huge buds and blooms that measured 10″ across. However they no sooner opened up, when they fell apart and were done! Also, I have lost almost all my leaves and the trunk at ground level is black and the bark is easily removed. Is my tree dying? Is there anything I can do to save it? It was doing so well!